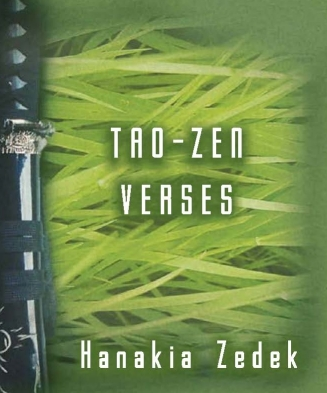 Hanakia Zedek, Author of Tao~Zen Verses & The Philosophy of Nothing – Psycho~Spiritual Seer, Sorcerer, Life Coach, Guide, Mystic, Prophet, Shaman, Warrior, Wizard, Kung-Fu Master, & Teacher at Spiritual Centers in the Twin Cities of Minneapolis & St. Paul, and Brooklyn, New York of Practical Spirituality, Quantum Spirituality, Metaphysics, New Age, Self Help, Magic, Personal Power, Death & Rebirth, Awareness, Consciousness, Animism, Buddhism, Taoism, & Castaneda to achieve Peace, Emptiness, Order, Stillness, & Leverage. And as in times of olde indicative of Ancient Esoteric and effective personas such as Taliesin The Merlin or Melchizedek, Hanakia Ek~Way Zedek, formally known as David Orlando Weatherspoon moves us beyond belief, atheism, animism into the experiential untapped resources of the human entity and universal applications thereof. Hanakia brings us beyond what we have even known; space, time, the continuum, even beyond the veils and mists of Avalon; into and through all that is you. SO... WHAT HOLDS YOU BACK? YOU...and all the things you believe in and do because it has never occured to you that you don't have to! Taking religion and culture as reality and truth. Believing that what's going on in your head is real. Staying in jobs and relationships that don't work. Looking for answers outside of yourself. Not doing what YOU want to do. Becoming your parents. Choosing to suffer. Defining yourself by what you think is wrong with you. Not questioning reality. Reacting instead of taking necassary action. WHY ARE YOU DOING SUCH THINGS? THE ANSWER IS NOT WHAT YOU EXPECT. You are doing them not only because it has never occured to you that you don't have to. ---But also because you think that all the answers and power are outside of you. That is a LIE. Everything that you need is inside of you. Hanakia is now offering private consultation. Click here to learn more. To even attempt an approach is certain death, but what else is there to know?